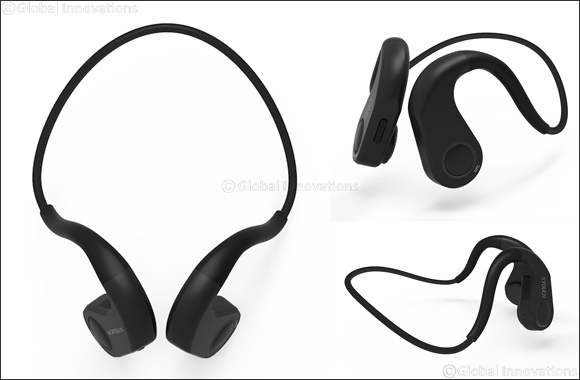 Dubai, United Arab Emirates, November 15, 2018: XTOUCH, the leading Dubai headquartered consumer electronics brand today announced the launch of XBone Bluetooth bone conduction headphones. Performing the role of the ear drums, XBone decodes soundwaves in high fidelity and stereo quality sound through cheekbones. The added benefit of being placed outside of the ears keeps you safe from bacterial infections and protects the ear drums from long term exposure to loud noise. Featherweight yet durable, the memory wire design provides a snug fit and with IP65, it is sweat and water resistant. Priced at only AED 299, it is specially designed for sports enthusiasts, gamers and music lovers. At just 30 gm the lightweight XBone is made of titanium nickel alloy and can be bent 15,000 times without any damage. It’s double suspension vibration system with suspension damping technology allows for quality stereo music. Equipped with CVC 6.0 noise reduction technology along with Bluetooth and NFC, XBone delivers a high quality call experience and enables effortless connectivity. XTouch has also launched the XSlate 8.5inch LCD writing pad which is an alternative to drawing with traditional tools and suits children as well as home and office users perfectly. It comes with a double-sided stylus, which makes it capable to write or draw with different effects. An erase button helps clear the board while the anti-erase button helps in avoiding accidental erasing. Additionally, with over 50,000 refresh cycles, XSlate helps in reducing waste and protecting the environment. Available in red, the XSlate is priced at AED 79. Simultaneously, XTouch has also unveiled a traditional yet smart XBook. The convenient and secure notebook has a fingerprint sensor which unlocks quickly. The technology helps keep notes, memos and finance numbers secure. Available in red, blue and dark blue it is priced at AED 250. All XTouch products are available online and at Carrefour stores across the UAE.